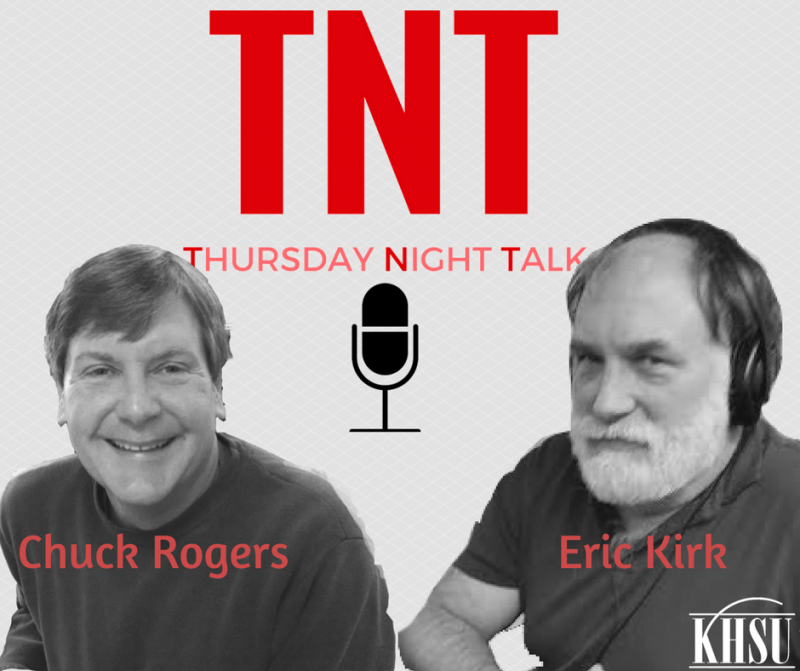 Thursday Night Talk is a local talk show featuring a rotating panel of hosts. 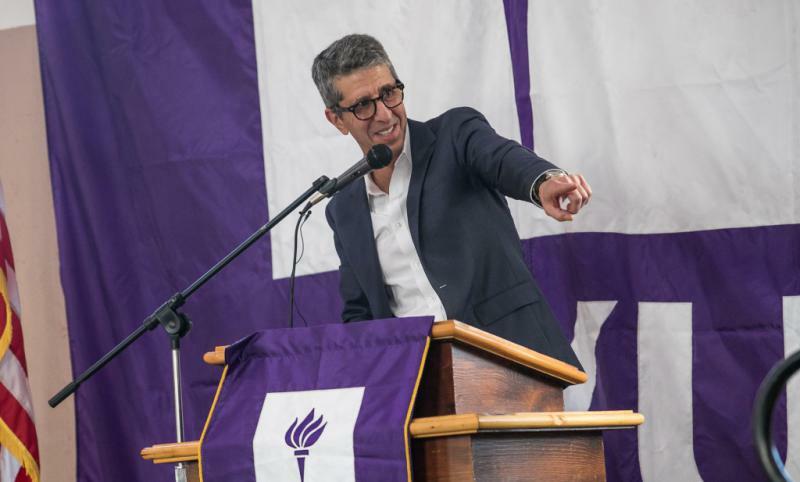 Local attorney and amateur political pundit Eric Kirk focuses on issues of local to global importance in politics, religion, culture, and science, with an emphasis on cross-ideological dialogue and the constant reexamination of the credos and dogmas which govern each of us. 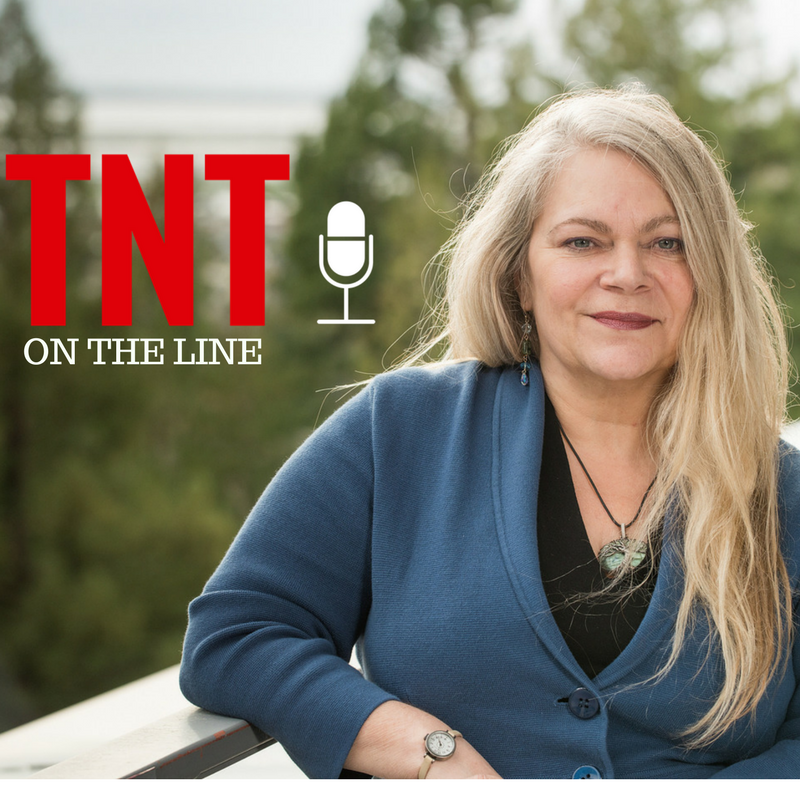 Long time radio activist Brenda Starr brings her free spirit, wit, and humor to TNT. Exploring politics, community and the games people play, she awaits your calls during a segment called Flash where you the listener share your likes & dislikes of the week! 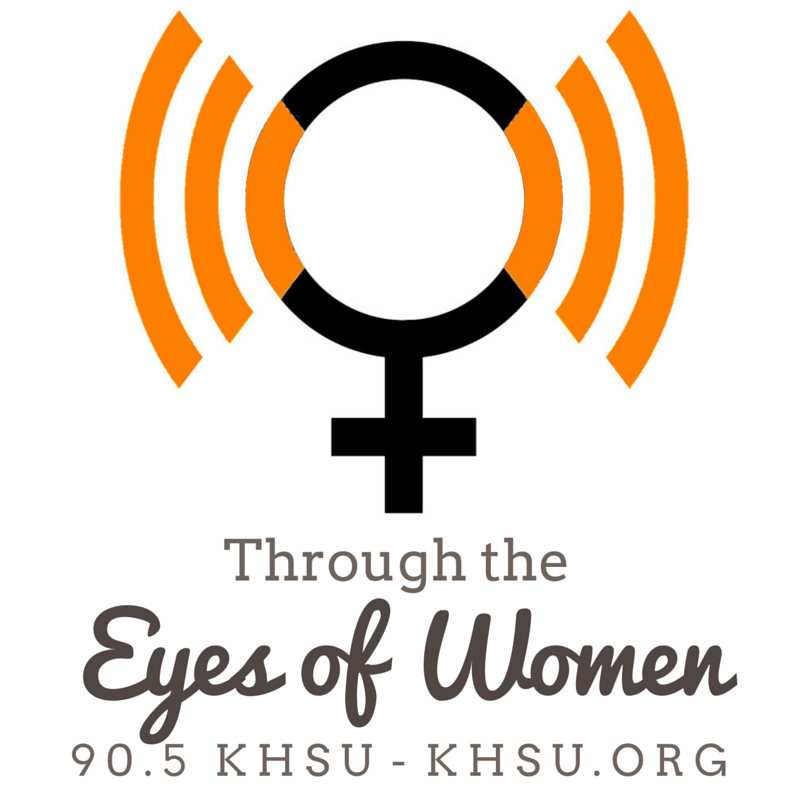 Brenda is also a co-host of KHSU's "Through The Eyes Of Women." 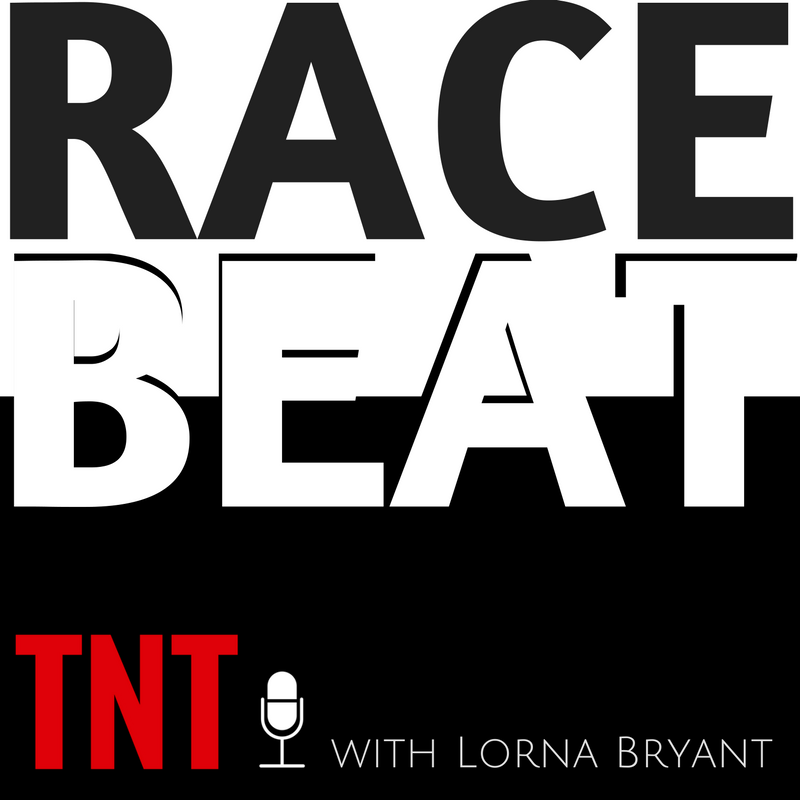 Lorna Bryant is TNT's 'Race Beat' correspondent, covering issues of equality, equity, and justice. Yana Valachovic likes to explore issue surrounding agriculture, forestry, natural resources management, and bring opportunities for community engagement in these topics. Thursday Night Talk: Political Rundown...Truth Isn't Truth? 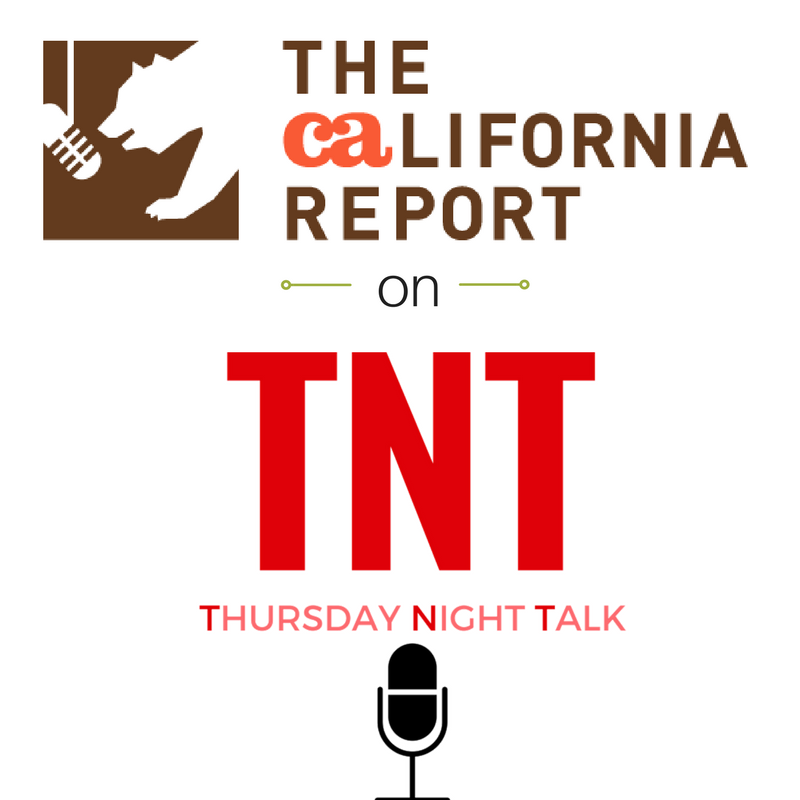 On this week's Thursday Night Talk, Brenda Starr and Chuck Rogers took on the latest in national politics... From "truth isn't truth" statements to indictments and on-going investigations in Washington, D.C., check out their sharp and dynamic discussion. 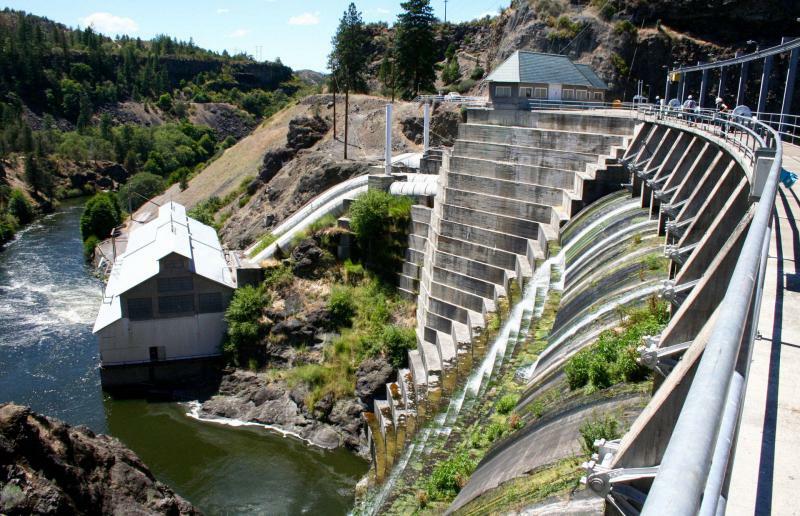 Will Klamath dam removal continue to move forward during the Trump administration? Tom Wheeler hosted Thursday Night Talk alongside guests Craig Tucker and Mike Belchik. 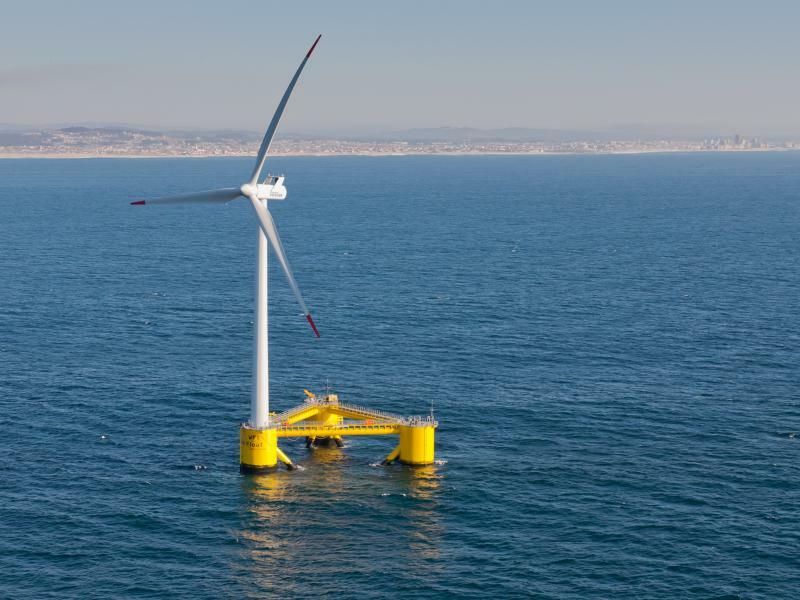 They discussed the largest planned dam removal in human history and potential obstacles along the way. 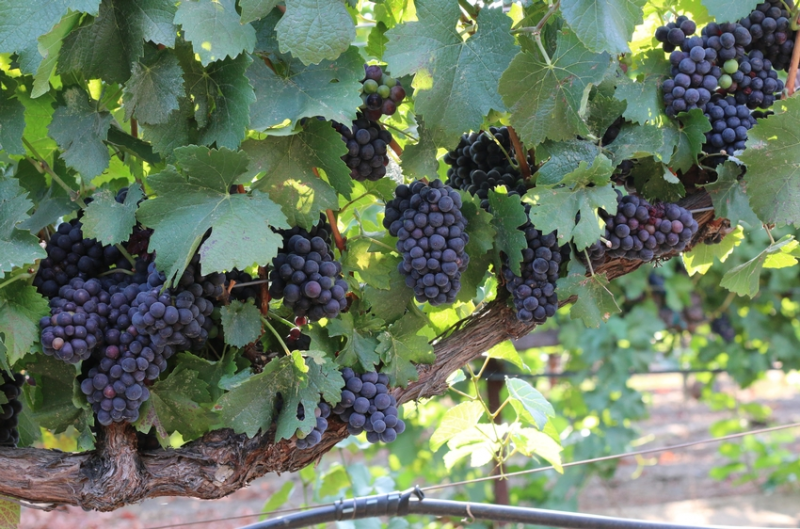 With extensive vineyards and wineries in Mendocino and Southern Oregon, what is the potential for more grape growing on the north coast? 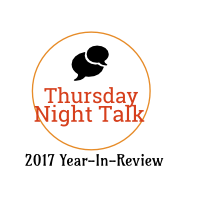 On this week's Thursday Night Talk, Yana Valchovic's guests were Andrew Morris from the Briceland Vineyards and farm advisor Glenn McGourty from Mendocino County. 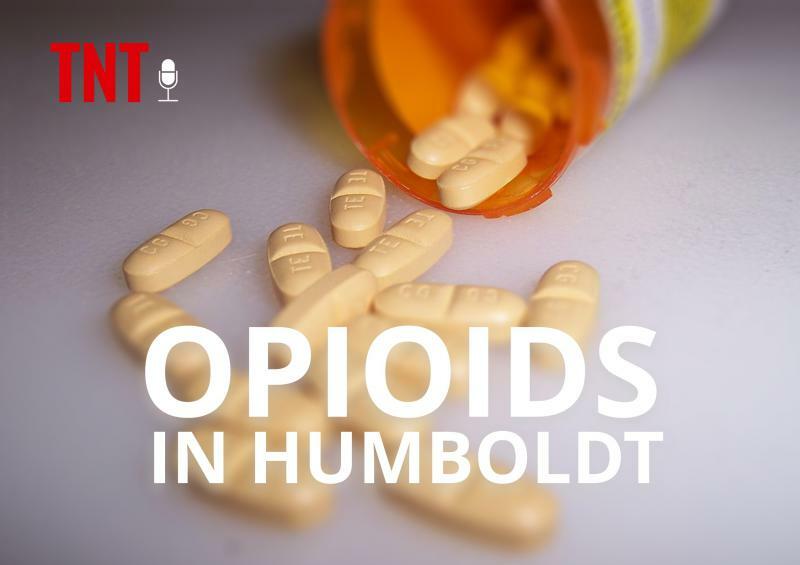 Eric Kirk hosts a discussion of opioid use in Humboldt County, as well as concerns surrounding a recent New York Times article that spotlights local addiction issues. 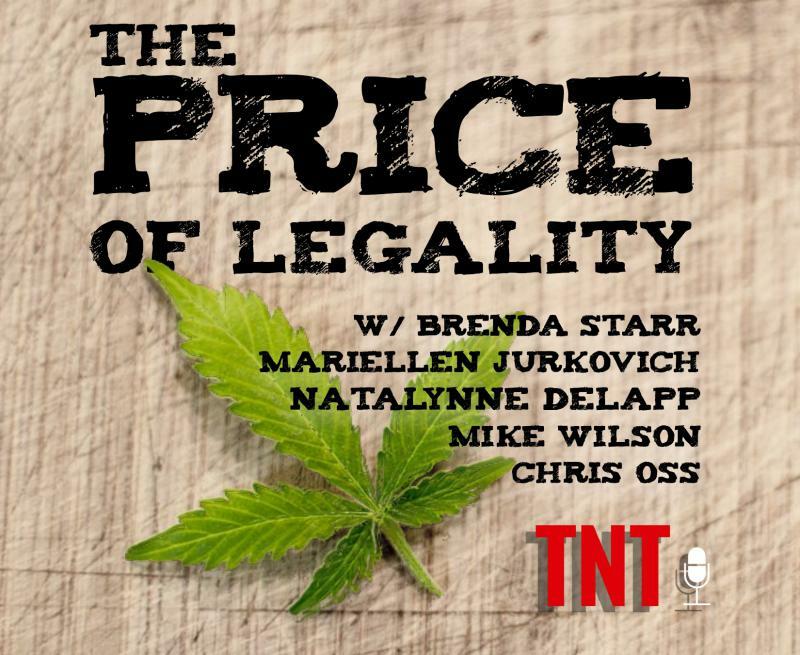 Guests include Brandie Wilson of Humboldt Area Center for Harm Reduction and Dr. Bill Hunter of Open Door Community Health Centers.Subscribe to the Thursday Night Talk podcast. Chuck Rogers joins Eric Kirk to discuss the latest in national politics including the Cohen raids, potential talks with North Korea, the President blocking his own cabinet's effort to sanction Russia, as well as the anticipated blue wave in November's election including a potentially earth-shaking Senate race upset in Texas. "A poet's first job is to pay attention," says Jim Dodge. 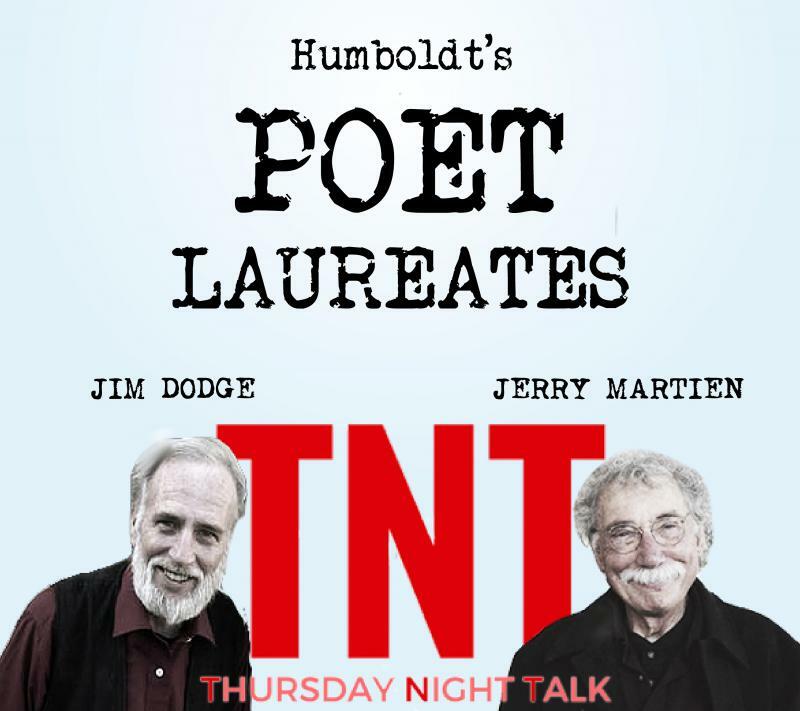 For National Poetry Month we honor local legends, poets Jerry Martien and Jim Dodge. Longtime friends Martien and Dodge talked with host Michael Fennell about their many years living in Humboldt County, aging as artists, and read from some of their works. Local poets Jim Dodge and Jerry Martien reflect on aging, creativity, and poetry. 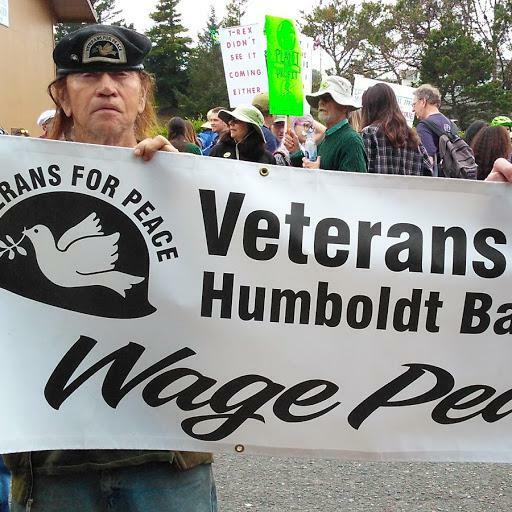 Brenda Starr discusses the true cost of war with guests Rob Hepburn, former Marine and member of Veterans for Peace Humboldt Bay Chapter 56, and artist Mac MacDevitt who designed the interactive exhibit recalling the My Lai Massacre, in Viet Nam 50 years ago. The March for Our Lives movement is created, inspired and led by students who refuse to risk their lives while waiting for adults to take action to stop the epidemic of mass shootings in schools. The 2018 California Democrats State Convention in San Diego last week gave delegates an opportunity to ratify candidate endorsements, endorse candidates for statewide office ... define the progressive agenda for America, and remain the Big Blue Beacon of Hope. Local vocalist Paula Jones and pianist Lettie Dyer joined host Lorna Bryant, in celebration of Black History Month, with a discussion about Black music - the significance of call and response; the hidden messages in songs during slavery; the progression of spirituals, to gospel, to jazz, to blues and more. Host Sharon Fennell spends the hour with Hollywood movie producer and Anti-Recidivism Coalition (ARC) founder, Scott Budnick. Tune in for Scott's amazing story. 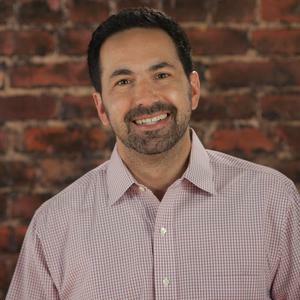 Movie producer and anti-recidivism activist Scott Budnick joins Sharon Fennel. What does it mean to believe in God, and what does it mean to be a person of faith in a society which resists the very concept? 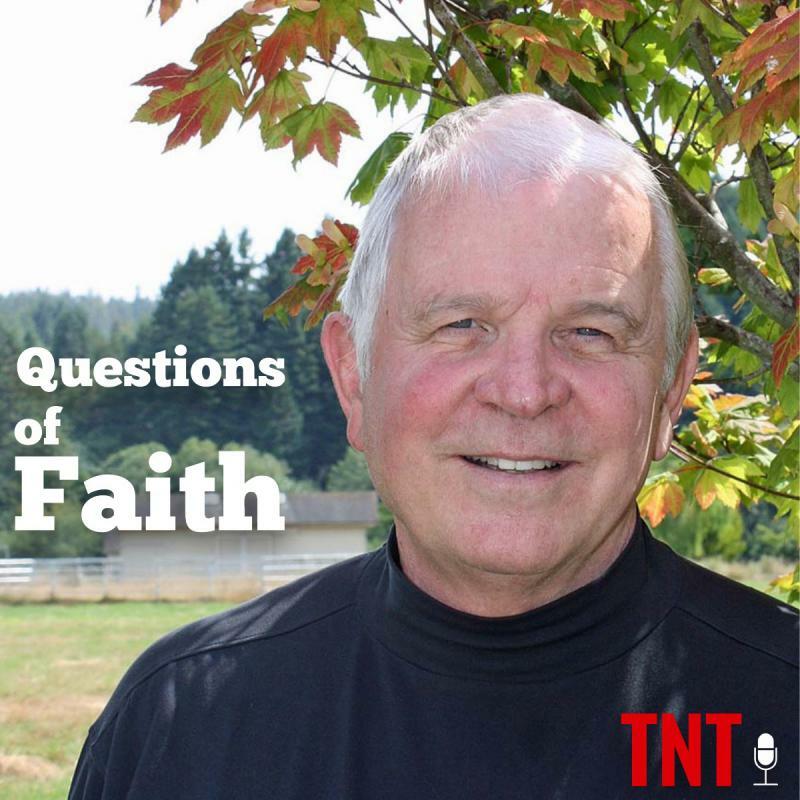 Reverend Bryan Jessup of the Humboldt Unitarian Universalist Fellowship joins Eric Kirk to discuss faith in 21st century America. Rev. 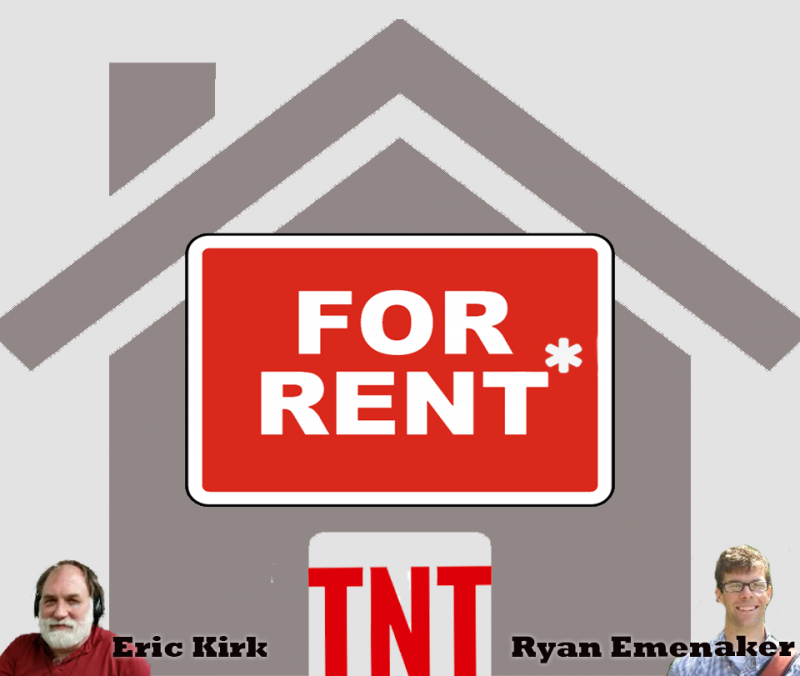 Bryan Jessup talks to Eric Kirk about modern faith. 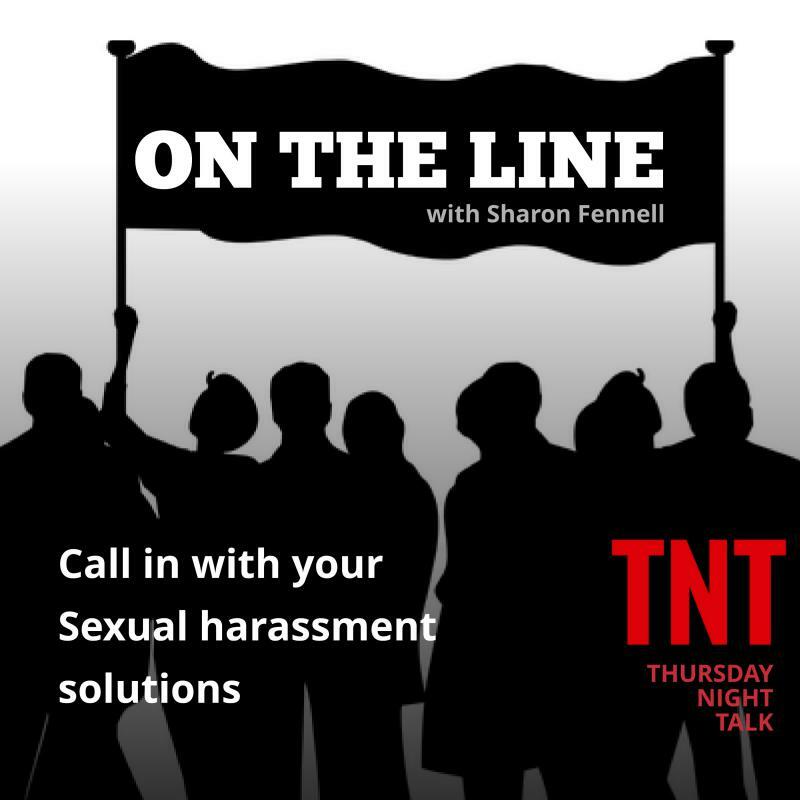 Join host Sharon Fennell on the next Thursday Night Talk, ON THE Line with her special guest, you! Sharon will continue last month's discussion on sexual harassment by asking you to call in with solutions, ideas, and mandates on where we go from here. Chuck Rogers joins Eric Kirk to discuss the Alabama election results, Senator Gillibrand's call for the President's resignation, the growing Republican calls to fire Robert Mueller, whether the December fires will impact climate change politics, and other political issues of the day. On her last day as an educator at Humboldt State, Dr. Melinda Myers discusses sexual harassment, abuse, as well as women claiming power and strength. 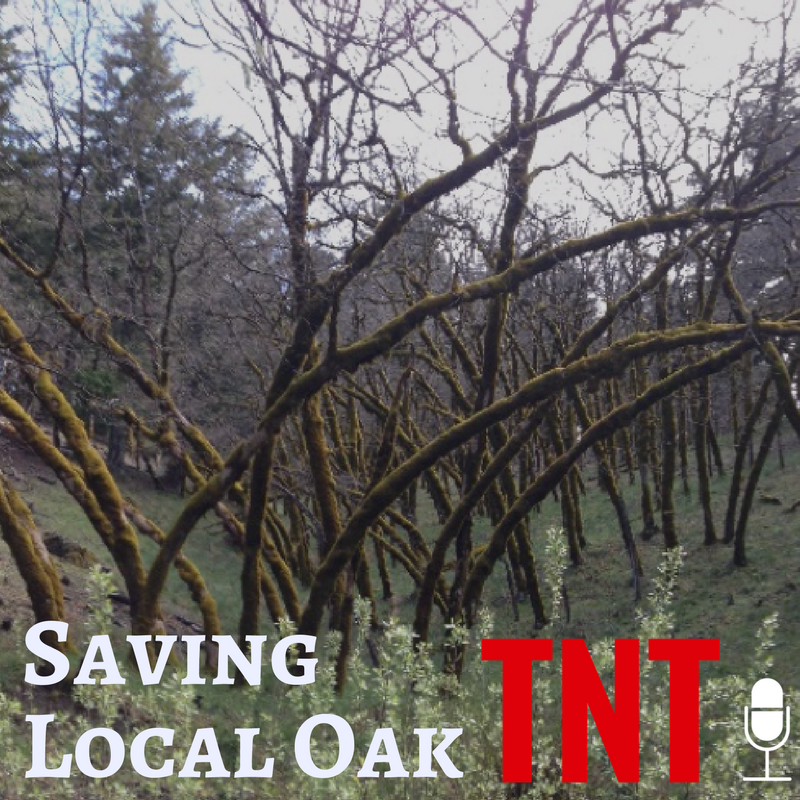 Thursday Night Talk: How Do We Preserve Local Oak? The loss of oak woodlands to native conifer encroachment is a major conservation concern in California, resulting in associated losses of wildlife habitat, traditional uses, biodiversity, and other ecosystem services. These concerns – compounded by development pressures, evolving understanding of fire’s role in California landscapes, and health threats like sudden oak death – have drawn increasing attention in recent years, and oak woodland conservation and restoration efforts have gained momentum. 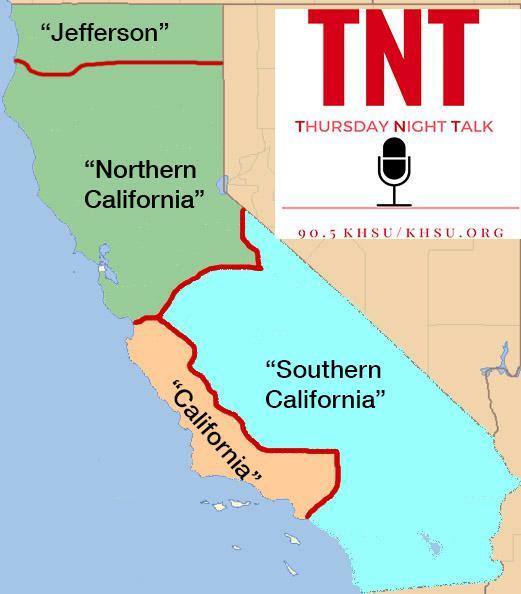 Thursday Night Talk: Is California Too Big? California Red, Blue and Green? No, not cannabis strains - but the idea of the Golden State becoming three separate states. There is a push to carve up our state. Would you vote for this in 20 with guests HSU political scientist Kevin Lyle Murray, HSU political-cultural geographer Matthew Derrick, and former County Supervisor Mark Lovelace discussing the ungovernable state of California.